The 2019 Frozen Four began on Friday night in Hamden, Connecticut, and from the moment fans walked into the People’s United Center, they could tell that something special was happening. While the on-ice product was compelling – No. 1 Wisconsin dropped the two-time defending champion No. 4 Clarkson Golden Knights 5-0, and No. 2 Minnesota handled the upstart No. 6 Cornell Big Red by a 2-0 score – there was a buzz around the rink that hadn’t been felt in Hamden for several years. Before the top two teams in collegiate women’s ice hockey face off for the national championship on Sunday, here are five observations from day one of the Frozen Four. Three of the teams in the Frozen Four were in the top five in NCAA goal scoring this year. Why then, were there only two non-empty-net goals scored for the first five periods of play in the Frozen Four? Everybody knows that in order to make a deep title run, a team needs a hot goalie. Well, these four teams have some of the finest goalies in all of the NCAA. Cornell and Clarkson did not play their best games in shutout losses. However at times, their goalies, Marlene Boissonnault and Kassidy Sauvé, were the only things keeping their teams in the game. Although they came up tough-luck losers, Boissonnault and Sauvé were among the shining stars in their games. And as for the teams that did win? It’s hard to argue with shutouts. Kristen Campbell of Wisconsin repeatedly stonewalled Clarkson stars Loren Gabel and Elizabeth Giguere, a dynamic duo that has over 350 combined points to their credit. To those who hadn’t seen her before, they saw why she’s the nation’s leader in goals-against-average. Minnesota is in the unique position of having two goalies it trusts in Alex Gulstene and Sydney Scobee. Golden Gophers head coach Brad Frost called it the toughest decision he had to make all year in choosing who to start vs. Cornell, but Gulstene’s shutout should earn her the start in the national championship. Again, a lot of the talk coming into this tournament was about the offense. However, these games were defensive battles highlighted by adept stick placement, gritty board battles and fearless shot blocking. Wisconsin blocked 16 Clarkson shots, while Minnesota blocked a whopping 30 Cornell shots. This led to frustration on their opponents’ ends, and ultimately helped lead the Badgers and the Golden Gophers to victory. We know these teams can score. We know they have solid goalies. Friday night proved that they also have the resolve and the fortitude to win championships by any means possible. 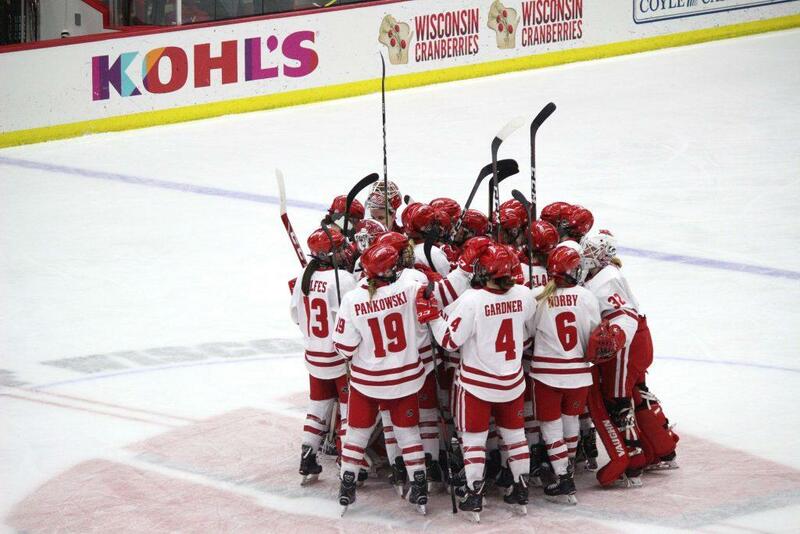 These games also proved one unfortunate thing about collegiate women’s ice hockey – there is a large talent gap that separates the elite teams. Clarkson and Cornell are two of the top three teams in ECAC Hockey, and they were easily outplayed by the more advanced teams in the WCHA. This also speaks to another talent gap – the one between the top of ECAC Hockey and the middle, where Quinnipiac lies. If the very best teams in ECAC Hockey are getting shut out in the Frozen Four, does anyone east of the Mississippi River really have a chance? The pure speed, skill and hockey IQ that the players in this tournament have is phenomenal. At this level, no goaltender lets in a softie. No defender is caught out of position. The power plays have to be run flawlessly to score goals. At this level, teams capitalize on mistakes. For teams like Clarkson and Cornell to lose the way they did with the talent they have just proves the incredibly high skill level that northwestern hockey is known for. East coast college hockey is great, but the talent gap between east and west is not shrinking. Shifting from on-ice observations to arena-wide observations, I was very impressed with the support that each team had at the Frozen Four. The rink was hopping from start to finish, which created a great atmosphere for playoff hockey. Wisconsin, in particular, had perhaps the loudest support section of any of the four teams in attendance, despite being some 17 hours away from Connecticut and competing with an appearance in the NCAA men’s basketball tournament at the same time. All four schools brought their pep bands and their student sections, and it’s always cool to see the players’ family and friends support them on the road. It didn’t just feel like another game on Friday night. It distinctly felt like one of the biggest sporting events I’ve ever been to, and that’s owed in large part to the fans who help make it all possible. Everything that makes ice hockey great was amplified even further at the Frozen Four. The on-ice product was great. The players skated faster and worked harder. The fans were even louder than usual. There was an indescribable big-game “buzz” in the press box. You could feel the emotion from the players and coaches in the press conferences. A lot of these feelings are thanks to the great job that Quinnipiac University did in preparing for this event. From the merchandise stands to decals around the stadium, Frozen Four branding peppered the arena. The presentation of the games was on point, from the scoreboard graphics to the fan amenities. Quinnipiac had a golden opportunity to showcase itself with this event, and it has done a great job so far.